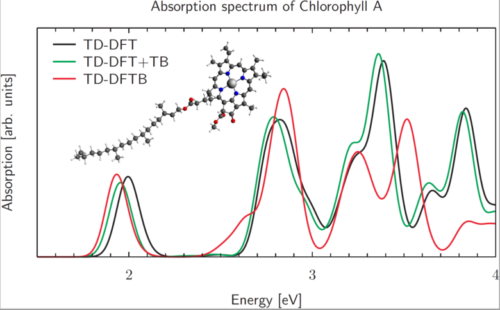 Extensive TDDFT functionality in ADF ensures the efficient and accurate modeling of UV/VIS spectra, phosphorescent processes and excited state geometries or frequencies for simple and complex molecules. With the GUI, you easily calculate UV/VIS spectra with TDDFT and TDDFTB. 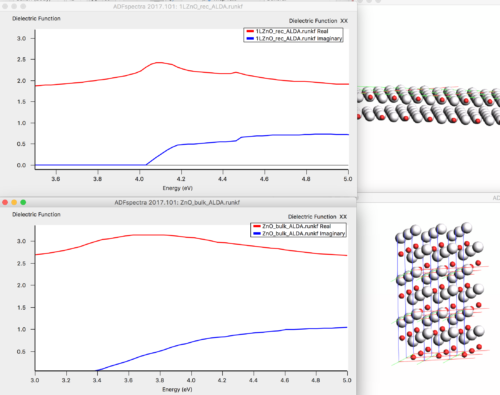 The time-dependent extension of our DFTB module enables optical property calculations of very large molecules, especially in combination with intensity selection. Gradients are also available, so that excited states can be optimized and vibrationally resolved spectra can be calculated via numerical frequencies and Franck-Condon factors. 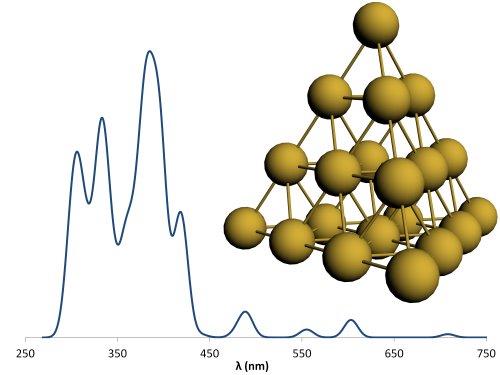 Optical properties of 1D and 3D periodic systems can be calculated with TDDFT or TDCDFT in BAND, including spin-orbit coupling and special functionals such as Vignale-Kohn and Berger’s polarization functional. Since BAND employs all-electron Slater orbitals, core hole states can also be created in band structure calculations. Model potentials such as TB-mBJ and GLLB-sc are available for more accurate band gap calculations.